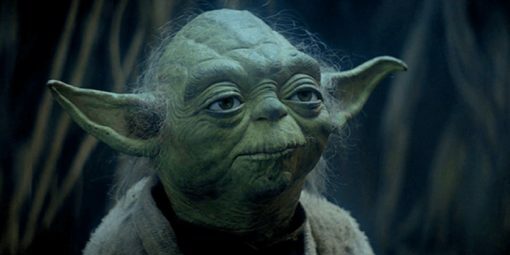 In honor of the new Star Wars movie coming out in December, we thought we would take you through a strategic thinking journey, using one of our favorite Star Wars character and greatest philosopher of all time – Yoda – as a guide. As many of you know, Yoda was a Jedi Master in Star Wars. He trained Jedi knights, including the hero Luke Skywalker, to harness the power of the Force. Yoda was, among other things, a brilliant strategic thinker. But before we begin our Star Wars journey, we need to define strategic thinking, which is the ability to see patterns amid all the details surrounding and obscuring those patterns. It allows us to link disparate pieces of information to see the big picture. Strategic thinking assists us in identifying and developing unique opportunities that create value to the organization. It provides a way to address every organizational challenge, problem, and action in light of a broader context. This wide perspective informs our decision-making and ensures any initiative is done in an integrated fashion, that it adds value, and is aligned to the strategic goals of the organization. So, why are we talking about strategic thinking? Because bottom line—it is our job. Effective business analysts (BAs) must be more than order takers. We must be trusted advisors who look for ways to uncover and provide value to our organizations and ensure all efforts align with the organization’s strategic goals. The following are 5 steps to help us become strategic thinkers. Remember strategic thinking is not a one and done activity. It must be practiced continually, because as Yoda says, “always in motion is the future,” and we need to be ready for it. When our Star Wars hero Luke is on the planet Dagobah, Yoda tells him to go into a cave. Luke asks what is in the cave. Yoda responds, “only what you take with you.” Luke has the illusion that he sees the evil Darth Vader in the cave, an illusion based on what he thinks is reality. Recognize our own personal frames of references, viewpoints, and biases that prevent us from seeing other options. Actively seek out information that disconfirms our beliefs. Challenge our existing assumptions and conventional wisdom. Explore other interpretations and possibilities. Ask, are there other ways to see something? Understand the initiative, define the problem it solves, and describe its impact on the organization’s strategy. A pattern is a set of cues that usually appear together, so when we see a few cues, we automatically expect to find others. We often form patterns based on partial, inaccurate, or incomplete information. If all the information were available at one time, we would see different patterns. When we think strategically, we step back and restructure the pattern. Problems often emerge when we expect to see a certain pattern and we are blinded from seeing other possibilities. Truly innovative strategic thinkers not only look for new patterns in existing frameworks, but create new frameworks and different patterns within these new frameworks. In Star Wars, when Luke lands on the planet Dagobah ready to be trained as a Jedi knight, he begins looking for his trainer, the great warrior Yoda. He goes with preconceived ideas of what a great warrior looks like, so he does not recognize the funny-looking, wizened creature as Yoda. Because Yoda does not match Luke’s preconceived image of a great warrior, Luke is dismissive. It is only when Yoda reveals himself that Luke must expand his pattern view of a great warrior. Asking ourselves: What patterns do I see? What are the cues? Are there any cues I am missing? Are there other possible patterns? Identifying and exploring internal trends in our day-to-day work. We need to pay attention to the issues that get raised repeatedly in our organization. We then need to synthesize the information so that we can recognize the common obstacles facing our organizations and recommend ways to remove these roadblocks. Looking for trends in the industry that will have an impact on our organizations and our projects, and recommending ways to take seize opportunities and ward off threats. “You must unlearn what you have learned.” – Yoda. Open dialog helps us unlearn what we have learned by allowing us to actively listen to other perspectives. It is critical to strategic thinking. There is much we can learn from each other when we let go of our previous preconceived ideas (learning) and allow ourselves to receive additional information from others. Embrace different perspectives and take the opportunity to dive into the unknown, the difficult, and the confusing. Tap into the wisdom of our team members and other key stakeholders to help refine our strategies and to ensure those strategies will be successful. Proactively connect with our peers both in our organization and our industry. Listen to others as they describe their observations and understanding of the marketplace. Then share these insights across our network and throughout our organization. Talk to people with viewpoints different from our own to explore more possibilities. This is not easy, because we tend to like our own perspectives. However, by talking to others and absorbing differing viewpoints, our world view and perspectives become a lot larger. Critical reflection is the process of knowing what we know, how we know it, and why. It allows us to discover our blind spots. We need to deliberately challenge the patterns we see and the meaning we attribute to them. We can use our intuition as a check on analysis and use analysis to check our intuition. Critical reflection essential for strategic thinking. How do we practice critical reflection? Recognize the assumptions that underlie our beliefs and behaviors. Challenge our assumptions, test beliefs, broaden perception, and imagine possibilities. Replace or reframe our thinking. We wish we could tell you that some of us are born Jedi knights in strategic thinking. We are not, and so we have to learn and then practice these steps. When we learn to use the Force, to use both our imagination and experience, both our intuition and our rational mind, we get closer to being Strategic Thinking Jedi Knights. And when we learn from both our successes and our failures, we find that strategic thinking becomes not only easier—but even fun. Have other Yoda lessons regarding strategic thinking? We’d love to hear them below!